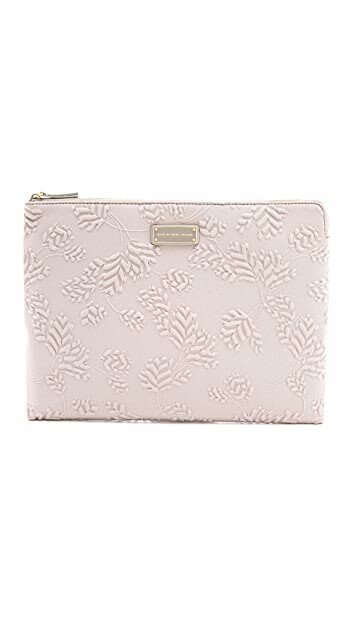 A neoprene Marc by Marc Jacobs laptop case with embossed leaves and a logo plate. Padded interior and zip closure. I purchased it in Gravel Grey and was a little bit afraid that the material is very sensitive but till now I'm more than happy. The case looks great, very chic (exactly my style) and the size was perfekt. Great choice! Overall, it is really pretty item. The only thing is that the colour is not really true to the picture - it's more of light brown/taupe rather than a cream or grey that I was expecting. 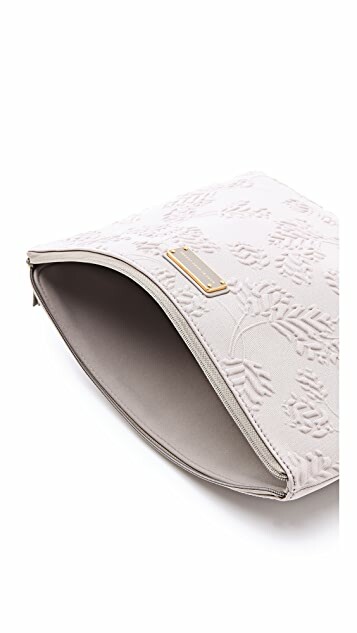 ordered this for the new macbook pro 13", it's too big on all sides by about an inch or so and so thin that it wouldn't offer any protection if i put it in my bag to carry around. really bummed because i love the blue color, but have to return. 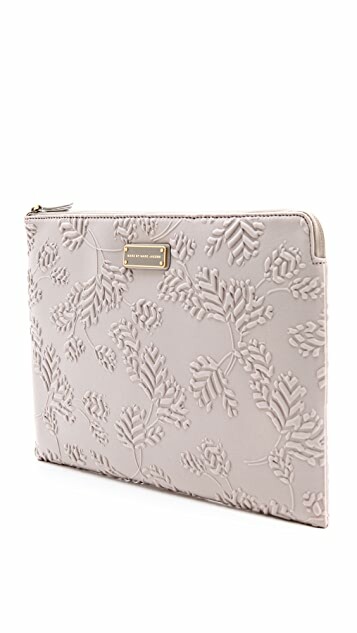 I was looking for a laptop sleeve, and I love the gravel color, which looks ver taupe. Versatile and would go with everything. The texture is also very nice looking. I got this in gravel grey and expected a very pale grey color. Instead it's more of a taupe or light brown which is much less pretty than I hoped for (but also probably won't get dirty as easily). Otherwise it's everything I expected. It fits my 13" macbook air well with extra room and I'm sure would fit thicker computers easily.